Need a getaway? In the mood for some fresh air and great music? Consider vacationing to Branson, Missouri. Branson is known for its entertaining shows, outdoor activities, great outlet shopping, go-karts, boat rides and more. And one of the best parts – it’s now easy for everyone to get to! In the past, getting to the southern area of Missouri wasn’t always so simple. 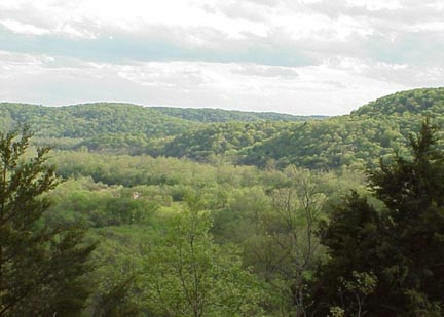 Driving miles of highway through rolling Ozark hills would eventually lead you you to a bustling town full of good ole’ fashioned music and entertainment. However in recent years, developments in air travel have made getting to Branson even easier for those who don’t favor a road trip. Now just about everyone near a local or international airport is just a non-stop or one-stop flight away from a true Ozark getaway. Several major airline carriers have added Branson to their list of stops, making a family vacation or weekend getaway easily accessible to all! Need a getaway? Fly to Branson, MO! The airport is the first privately-financed and operated commercial airport in the United States. Pretty awesome! Travelers can fly into Branson Airport via AirTran Airways, Branson AirExpress and Frontier Airlines. Click here to learn more about flying into Branson Airport. Another option for flying into Branson is to use the airport about 50 miles north of Branson in Springfield, MO. This facility has Allegiant Air and American Airlines flying into this airport, offering additional options for travelers around the country. Click here to learn more about flying into the Springfield, MO Airport. Once you’ve decided to visit Branson and have sorted out air travel, consider finding a Branson vacation rental to make your stay complete. There are some great vacation homes for rent that will have you kicking back, relaxing and listening to the music in no time.